GURGAON: In a case where a doctor couple was booked for employing a minor girl as a domestic help on Monday, the police are yet to get the medical test done of the victim to determine her age. Also, no arrest has been made so far. Childline (1098), which was part of the rescue team, said the medical test should have been conducted within 24 hours of the complaint. Gurgaon child welfare committee (CWC) is looking into the matter. The victim has been given shelter at a local children’s home. Rishi Kant, spokesperson of NGO Shakti vahini, which runs Childline in Gurgaon, said according to rules police should have arranged a medical check-up immediately. “Somehow police here are very lax in cases related to child rights. Had it been Delhi, the medical test would have been done within hours, said Kant. When asked, investigating officer Abhay Raj said, “The victim was taken for a medical test on Thursday, but the chief medical officer was not available. Now, the test will be done on September 4. We will make arrests only after the girl’s age is verified”. The Haryana chief minister and Union human resources development (HRD) minister are visiting city on September 3 and apparently the administration is busy preparing for the event. Kant claimed the Gurgaon CWC ensures that issues related to child rights are handled with due care. When informed about the delay in medical test, CWC member Sunaina said she would look into the matter. However, later on, she could not be reached despite repeated attempts. Earlier, a teenager, a native of Gumla distrcit in Jharkhand was rescued jointly by Childline, the Anti-Human Trafficking Unit, Gurgaon from the house of a doctor couple in the city. The Sector 4 residents, have been accused of employing a minor girl and torturing her. An FIR has been registered under Section 23 (punishment for cruelty to juvenile or child) and 26 (exploitation of juvenile or child employee) of the Juvenile Justice (Care and Protection of Children) Act. “The victim was not allowed to speak to her parents. She didn’t get any money in return of her work. And whenever she requested to go back to her home, the couple would beat her,” said Kant. The Cabinet Committee has passed the proposal seeking a total ban on employing children under 14 years and of 14-18 year olds in hazardous occupations. When passed in Parliament as law, it will be a huge milestone in the journey that many of us had started in the mid-1980s. This also marks a milestone in my own personal journey as a child rights activist.The first time I engaged with this issue was in 1986 when the government was drafting the Child Labour (Prohibition and Regulation) Act, 1986 (CLPRA). Activists were protesting against the proposed law that would allow children to work in “non hazardous” occupations below the age of 14 years and in all occupations, hazardous and non-hazardous, beyond that age. We saw this as a violation of the basic right to childhood, as children as young as six and seven years were employed and leading horrifying lives.The law was passed and since then, India has had a law that for all practical purposes, that allows children to work. Over the years, activists have been advocating, fighting and campaigning on child labour throughout the country so that the government recognised the gravity of the problem and showed the political will to address it. And hence even while India marched into economic growth and its place as a world superpower, child labour continued with legal support.Child rights activists were clear that child labour leads to poverty and not vice versa; child labour was a reality because without doubt, employers preferred children as they could be paid less, made to work longer hours and beaten into submission: the only way to address child labour and poverty was to ensure that child labour was banned, every child was in school and that they were replaced by adults who were paid at least minimum wages. 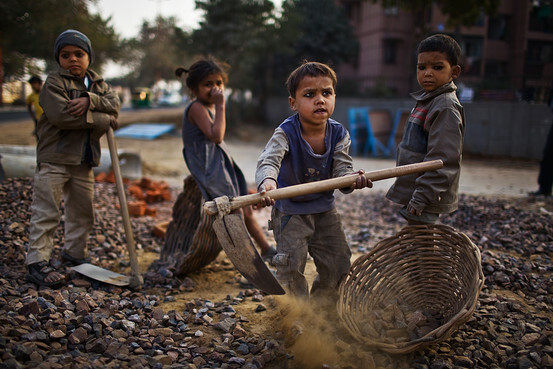 But, the child labour law was in direct disharmony with the Fundamental Right to Education after (86th Amendment to the Constitution, 2002) and the Right of Children to Free and Compulsory Education Act (RTE) passed in 2009. All children had the right to education but how could children be at school and at work at the same time?A public Interest litigation (PIL) filed by HAQ: Centre for Child Rights, M.V. Foundation and Social Jurist in 2005, for the first time raised this contradiction between the two laws in the Supreme Court, which issued a notice on December 12, 2005, to the Centre seeking enforcement of the right to education of every child in the age group of six to 14 by abolishing child labour in all its forms. But the government did not pay heed. Meanwhile, India was under tremendous international pressure to recognise child labour as a problem. Big companies under flak from activists, began to opt for “child labour free” declarations for the products they bought from, or produced in India. U.N. agencies such as the U.N. Committee on the Rights of the Child to which India has reported three times (the last report is due for discussion) raised questions about India’s continued stand on child labour being a harsh reality and therefore not possible to eliminate.The present move of the government to finally ban all child labour below the age of 14 years and in hazardous labour between 14-18 years is a coming together of all these efforts. It will finally resolve contradictions between the different laws.Better late than never! Of course, this is only the first stage to its becoming law, and we hope that Parliament will pass the proposal making it a law. Will the law alone lead to the elimination of child labour? Perhaps not. After all, any change on the ground is dependent on the successful implementation of the law and this is an area in which India lags behind severely. And hence the battle for implementation of the law, once it is passed, will have to continue.But let us not be sceptical for now. Let us recognise and rejoice that this will be a giant leap in the history of child rights in India. For the first time, after over two and a half decades of struggle, the government has recognised that despite child labour being a “harsh reality,” the law must be forward looking. Instead of law reflecting reality, it must be designed to change it. NEW DELHI: Four persons, including three Nepali nationals, were arrested here for allegedly running a human trafficking racket whose kingpin is operating from Saudi Arabia. Nepal has banned immigration of women to Saudi Arabia and the alleged racketeers decided to take the India route in order to hoodwink the Nepalese authorities. The accused, claimed sources, allegedly sold of these girls for several lakhs. Nabin Kumar Subedi (35), Ashiq Ali Miya (24) and Uttam Silwal (32), all from Nepal, and Bipin Dahal (32), a graduate hailing from Assam, were apprehended from various places on a tip from central intelligence agencies, Sanjeev Yadav, Deputy Commissioner of Police ( Special Cell), said. They allegedly used to prepare fake passports, visa stickers and fake employment stickers of Nepal and used to send people abroad. Fourty-one fake Nepalese passports and 104 fake foreign employment permit stickers of Nepal were recovered from them. Subedi, Miya and Dahal were the first to be arrested on August 21 following a tip off that a consignment of fake passports will exchange hands in Munirka. Though initially they did not admit the seized passports was fake, Yadav said, Nepalse embassy confirmed that they were not original. “Nepalese women are lured and brought to Delhi by Miya. Fake visa stickers are managed by one Shakir, a Nepali national based in Mumbai. They charged minimum Rs 20,000 per customer. Bisht also charges hefty sums from the employers in Saudi Arabia,” Yadav said. The accused disclosed that came to deliver the fake Nepalese passports to one Uttam Silwal, a permanent resident of Mahakali residing at Nebsarai. Accordingly a raid was conducted at the residence of Uttam at Nebsarai and he was apprehended. The accused persons disclosed that the kingpin of the racket is one Ram Bahadur Bist based in Saudi Arabia. On his directions, one Nabin Kumar procured passports and employment stickers from one Shabbir and then he brings them to Delhi. The prospective client Nepalese ladies are lured and brought to Delhi by one Ashiq Ali Miya. Cops believe he is a Pakistani citizen settled in Kathmandu in Nepal and have safe shelters in the capital. “The fake visa stickers are managed by one Shakir, a Nepali resident who is presently based in Mumbai. After completing the formalities fake employment visa stickers are affixed on the passports of the clients. This employment visa sticker is mandatory for the Nepalese citizens travelling to Gulf countries for job. They also use fake stamps of the Department of Foreign Employment in Nepal. Meanwhile, accused Nabin disclosed that he has passed class 10 and came in contact with Ram Bahadur who told him that he is a manpower agent and is sending Nepalese women to Saudi Arabia and other Gulf countries for jobs. Ram Bahadur lured him and asked him to operate from Delhi. Ashiq Ali Miya disclosed that he responsible for luring Nepalese ladies , the prospective clients on the pretext of jobs with good salaries in Gulf countries. Cops suspect his links with some terror organizations with sleeper cells in Nepal. Dahal disclosed he is a graduate. He takes care of arranging air tickets for the prospective clients going to Gulf countries for job. He was earlier arrested in a case of cheating by Chankyapuri police. “Nepalese Embassy has been informed about their arrest. Further investigation is in progress,” said Yadav. The government’s ministers called on Parliament to pass an amendment to the Child Labour Act 1986, a law which, until now, has allowed children below 14 to be involved in “non-hazardous” work. 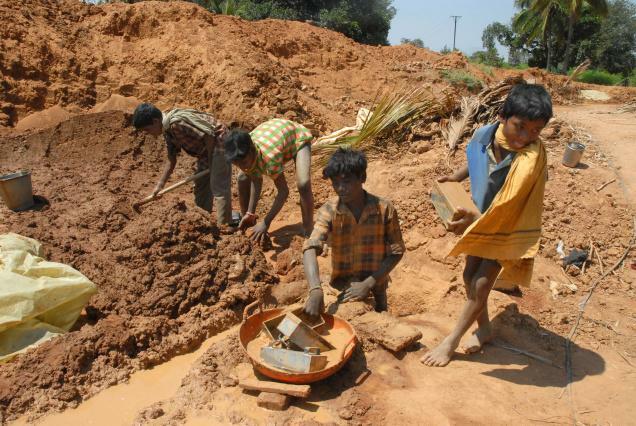 The amendment, if passed, would impose a maximum three-year jail term and 50,000-rupee fine for anyone employing a child under the age of 14 in any kind of work or engaging under-18s in hazardous work.The change would be the most significant development in India’s child labor laws since the introduction of a partial ban in 1986, according to activists working for an end to the practice. However, activists also warned that without sufficient political backing, effective implementation, adequate budgets and robust enforcement, the amended law could remain on the statute book without any impact for the estimated 12.6 million under-14s working in the country.Kailash Satyarthi, chairman of the Global March Against Child Labor, said the change had the potential to strengthen a law that was “inappropriate and weak” at its inception and had become “redundant” as a result of contradictory legislation introduced subsequently. As well as the need to remove contradictions from its statute book, the government is under pressure to meet the 2016 International Labour Organization’s deadline for the abolition of the worst forms of child labor.Mr. Satyarthi, who is also founder of the nongovernmental organization Bachpan Bachao Andolan (Save the Childhood Movement) said there had been an encouraging change in attitude among the political elite towards the practice of employing children. Mr. Kant said that India needed a better mechanism for reporting and finding missing children to prevent child trafficking, which fuels the child labor industry. Figures released this week by the government said that 55,000 children go missing in India each year. “Parents are lured by the money that their children are promised for petty jobs in big cities but the parents never get the money and the child gets all sorts of problems and all kinds of exploitation happens to the child,” Mr. Kant said. Both Houses of Parliament must pass the amendment before it becomes law. Cassie Dummett, head of programming at Catholic Relief Services India, said that a change to the law would strengthen the hand of those working at the grass roots to eradicate child labor. The biggest urban crisis in cities like Delhi is about working couples stressing over domestic helps. Over the last five years, placement agencies have been competing along with property dealers all over the national capital to supply help at home. There are over 2000 of them, providing help not just to Delhi but neighbouring Gurgaon and Noida as well. Majority of these agencies are unregulated and become an end point for exploitation of girls who are brought from other states to Delhi, with the promise of a good income and a better life. ‘Babita Enterpize’ was one such agency in Delhi. This is where a 16-year-old girl from Assam found herself staying in May 2011 after being lured by a promise of a marriage by Ismail Ahmed. He took her to Delhi by train and kept her at some Babita’s place in Delhi’s Shakarpur area. She was allegedly confined, raped and sold. For 15 days she was physically tortured and traumatised. After two weeks of taking her around to meet various customers to as far as Kanpur he finally settled to sell her for Rs 1, 50, 000. But the customer was a police decoy and Ahmed was arrested. She was rescued and the racket was busted but the prime accused, Parveen, has been absconding since. According to data provided by the Indian Ministry of Home Affairs, 3500 adults and children disappeared from Assam in the last year alone—probable victims of the human trafficking trade. Data and documentation on trafficking is abysmally poor and the only statistics available are with the National Crime Record Bureau (NCRB). Assam for that matter the entire Northeastern region is one of the established source points for trafficking of women and children. But why Assam? 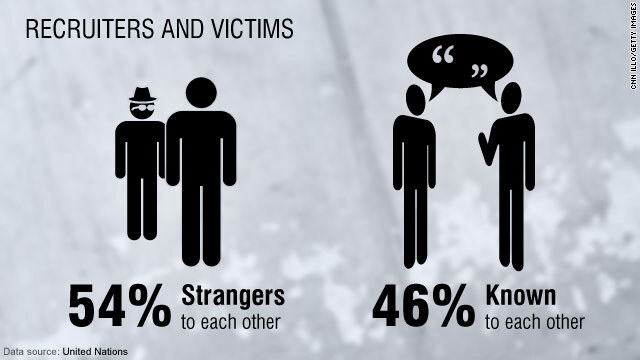 One of the known causes which make an area vulnerable to trafficking is conflict. Assam has been witness to armed conflict since the early Eighties. At the last count there were 12 armed groups operating only in Assam and twice that number using Assam as transit and safe haven. Conflict leads to displacement and even as this report is being written close to 3 lakh people are huddled in Lower Assam’s relief camps. The state records one of the highest internally displaced people in the country. There is no mechanism used to maintain any record of how many people actually go missing or return when rehabilitated. In 2009 I had recorded a regular flow of children from Bru refugee camps in Tripura to a mission in West Bengal. Several children have gone missing from Arunachal Pradesh, reportedly to monasteries in Nepal. The guardians were told that for 11 years they will not be able to get in touch with the kids. The last relief camp I visited in this round of violence was in Purani Bijni in the district of Chirang. Around 2500 people were occupying five rundown rooms of a primary school. The men would sleep on the field and everyone would defecate in the backyard. Dal and rice with rationed amount would be served as food. Most of these people have land but after they return there is no guarantee that the land would not be occupied (Read: grabbed). A vague message arrives in my inbox. Some middlemen are snooping around this relief camp but I have no means of substantiating the information. In March this year eight girls from the same district were rescued in Delhi where the accused Home Singh Pandey had employed them through his placement agency N K Enterprise in Shakurpur. He would purchase them from source traffickers for Rs.5000 and employ them for a security deposit of Rs. 20000 and receive a monthly salary of Rs. 1500 to Rs.2000 on behalf of the girls. I recall a visit in 2006 to a relief camp again in the same district. Then it was within Kokrajhar. A young girl in a bright pink salwar kameez was peeping from her makeshift home in the refugee colony. She had escaped a few days back from a home in Delhi where she was locked up for months, sexually exploited and made to work at home. The camp secretary had told me about a few other girls who have been sent to Delhi to work as domestic help. After a few weeks there was no more communication possible with them. I visited the camp the following year to record more such tales. By then hopes of any rehabilitation had receded and people were no longer worried about the fate of their daughters gone missing. Bloodied for decades since 1995 the districts in Lower Assam, which saw Bodo-Adivasi and Bodo-Bengali-speaking Muslim clashes have become a catchment area for human trafficking. Guardians find it convenient to send the children off to cities against some payment. Generally it is the local unemployed young men who act as the first point of the deal. (It is exactly the same modus operandi in wild life trafficking where the guides for the sharp shooters are sourced from fringe villages around sanctuaries). Politics of ethno exclusivism has dotted the region with militias gaining territorial control amongst other gains. In 2008 the Dimasas in Assam’s North Cachar Hills clashed with the Zeme Nagas in which armed outfits like NSCN(IM), NSCN(K) and DHD(J) were involved. The images of conflict are the same everywhere. Smoke from fire simmering in fodder or rice grains stored in homes. Entire villages razed down. Belongings scattered around. In some cases even livestock killed by a spray of bullets. Overnight the population moves to safer locations and for months they stay as refugees. Schools shut down because the refugees and the security forces must be accommodated in shelters and schools or colleges are the only ones available in villages. Food security is not even accounted for. These hills have gone through waves of armed and ethnic bloodshed. In each wave it is the children and the women who are the worst hit. In January 2010 close to 200 children mostly boys were rescued from Kanyakumari in Chennai. They were from North Cachar Hills and neighbouring Karbianglong, another disturbed area. A few were from Manipur. The girls accompanying them had already been trafficked after they reached Bangalore. There is still no trace of them. The children were sent off by parents in promise of free education. The middleman in this case was a pastor. Based on such reports provided by National Commission of Protection of Child Rights, the Supreme Court on 1 September 2010 directed that the Central government must immediately vacate all schools occupied by the army or the paramilitary forces. It also directed that children below 12 years in the Northeastern states should not be allowed to pursue education outside. But children don’t have to go outside the state to get trafficked. Over the last few years hundreds and the number could even go to thousands have moved out of Chintong Block in Karbianglong district of Assam. Neighbouring Amri and Umswai have also contributed to this exodus but Chintong is highlighted due to it backwardness. It doesn’t even have a road or a functional school. Five students have passed out in 12 years from the only school virtually without teachers. So where do they go to? Down the hill to the plains of Nagaon, Morigaon, Nellie and Jagi Road. The deal is universal. They will work as a domestic help in exchange of school education. There is documented evidence of children mistreated and beaten here. The parents are not allowed to meet their children and often they are forced to drop out of school. Some children have gone missing. On 24 July 2012, 12-year-old Kendro Senar a student of class V, who came from Lumarchi village of Chintong, committed suicide by hanging himself in the house he worked and stayed at Amlapati, Nagaon. This is the second reported case of a child committing suicide in two years from the same place. While mainstream media (even international media) probably under social media pressure has been sustaining the coverage of Assam ‘riots’, the reportage misses the ‘big picture’ (a favourite television jargon). The ‘riots’ (riots don’t go on for five weeks) was preceded by the decade’s worst wave of flood in Assam. Twenty four lakh people were affected and 126 persons died in flooding and landslides. Government data posted on 24 August showed 57,000 people are still affected. When I travelled through these flood affected districts, the apathy of authorities and the misery of the people was beyond a journalist’s ability to document. Highways were transformed into unending camps made by flimsy plastic sheets supplied by the government. For weeks it would rain every night with people and children under those sheets. Most people prefer living on roads than moving to designated relief camps where hygiene is of unacceptable standards. Moreover they can’t carry all their belongings, besides they can keep an eye on the submerged homes from the roads. While the government was making an attempt at distributing relief, and journalists were narrating the stories of flood misery a group of people descended on Lakhimpur in Upper Assam in search of victims, a dozen girls have been taken away and are probably being sold as I write about them. Conflict and natural disasters are the biggest causes of areas becoming supply points. The supply line is very well organised and the route is well marked. Several people are involved in this racket. Though there is an increasing awareness about trafficking, weak prosecution and almost no convictions are the biggest challenges before anti-human trafficking agencies. Situations like the one in Assam make it imperative for the government to monitor the camps and railway stations and anticipate that every wave of flood and conflict would lure traffickers to the state. Two years ago, the Ministry of Home Affairs directed state governments to set up special anti-human trafficking units (AHTU) in every district. Each unit is supposed to have a minimum of five persons equipped with cameras, cell phones and a vehicle. After NHRC report of 2005- 2006, which reported that 45,000 children go missing every year from India, the MHA directed all state governments to implement the order. Assam has only one unit in Guwahati. West Bengal another huge source area has one functional unit in Kolkata. 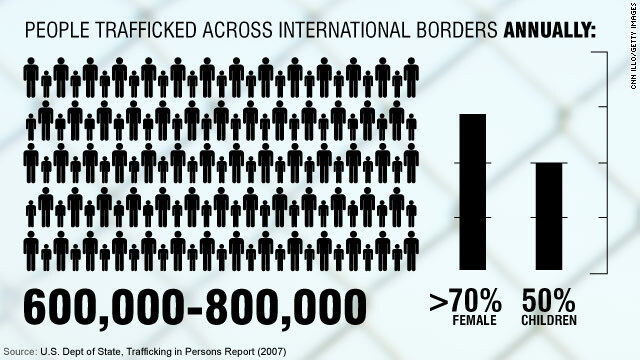 161 countries are reported to be affected by human trafficking by being a source, transit or destination country. 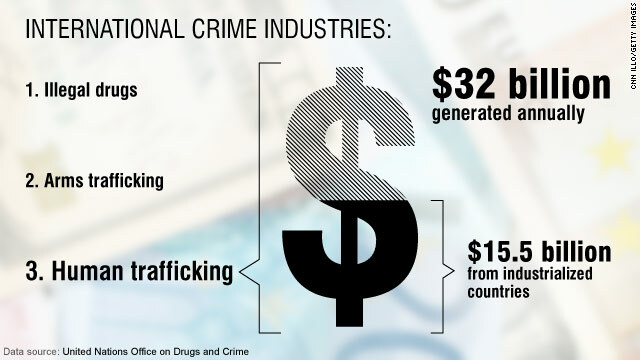 Trafficked victims from 127 countries are reported to be exploited in 137 countries, which clearly convey that human trafficking affects most countries and every type of economy. The writer is Resident Editor, NDTV (NE). His book Che in Paona Bazar: Tales of Exile and Belonging from India’s North East published by Pan Macmillan (Picador) will be out in December 2012. Shakti Vahini welcomes the move by the Government of India to ban all forms of Child Labour till the age of 14. With these amendment the classification of Hazardous and non hazardous jobs by children will not apply . With these move the Child Labour legislation is being brought in conformity with the Constitutional Provision of Right to Education Act . Employing a child below 14 years in any kind of occupation is set to become a cognizable offence, punishable with a maximum three years imprisonment or fine upto a maximum of Rs. 50,000.The Union cabinet is likely to approve the Child & Adolescent Labour (Prohibition) Act, 1986 today which will allow employing children only between 14-18 years in non- hazardous industries like forest gathering, child care etc. Children between 14-18 years have been defined as “adolescents” in the amended Act. The existing Child Labour (Prohibition and Regulation) Act, while prohibiting employment of children in hazardous industries allows children below 14 years of age to work in industries not considered to be hazardous. The amended Act, being moved by the labour ministry, also puts a blanket ban on employing anybody below 18 years in hazardous occupation.Such hazardous occupations have also been re-classified in line with the increase in the minimum age of child labour from 14 to 18 years. As an organization which has been struggling for rescuing and rehabilitating thousands of children across the country who are engaged in child labour this move by the Government comes after years of advocacy and campaigns for Policy change and will have a lasting effect in the war against child labour in India. At Shakti Vahini we feel that banning any employment of children below 14 years will go a long way in enforcing the Right to Education Act, 2009 which mandates free and compulsory education of all children in the age group of 6-14 years.